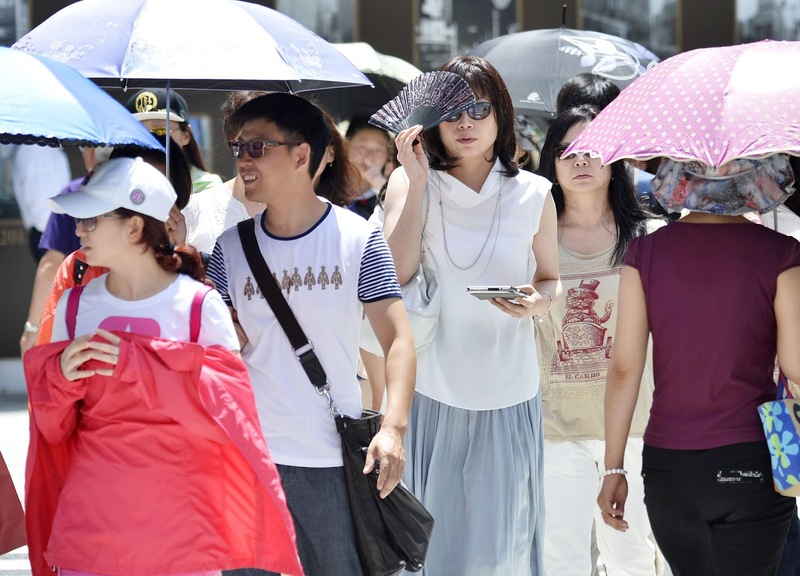 Three people died as about 490 were taken to hospitals due to heatstroke or heat exhaustion Thursday, a Kyodo News tally showed, as temperature soared across much of Japan. Of 929 observation points nationwide of the Meteorological Agency, more than 400 logged highs of at least 30 degrees, while the mercury topped 35 at 51 locations. The mercury reached the season's highest, 38.8, in the city of Koshu in Yamanashi Prefecture, and 38.6 in Kawanehoncho, Shizuoka Prefecture. In Tokyo's Nerima Ward, the temperature rose to 37.7. The weather agency said a high-pressure system covering the Japanese archipelago sent a blanket of hot air over a wide swath of the archipelago. The agency warned that the temperature in eastern Japan will remain high on Friday, while in western and southwestern Japan, low pressure may bring heavy rain from Friday through Saturday. In the city of Shikokuchuo in Ehime Prefecture, 88-year-old woman who had been working on a farm was found collapsed and taken to a hospital where she was confirmed dead, while a 81-year-old woman in the town of Misato in Saitama Prefecture who had been working on a farm was also found collapsed and confirmed dead later at a hospital. In Hashimoto, Wakayama Prefecture, a 36-year-old man who was working outside a factory was taken to a hospital after being found collapsed and was confirmed dead.